Last year, the Administration of Icherisheher State Historical-Architectural Reserve successfully cooperated with world organizations. Icherisheher State Historical-Architectural Reserve is also an active participant in UNESCO World Heritage Committee sessions. It closely monitors the monuments' safeguarding and informs other countries about its work. 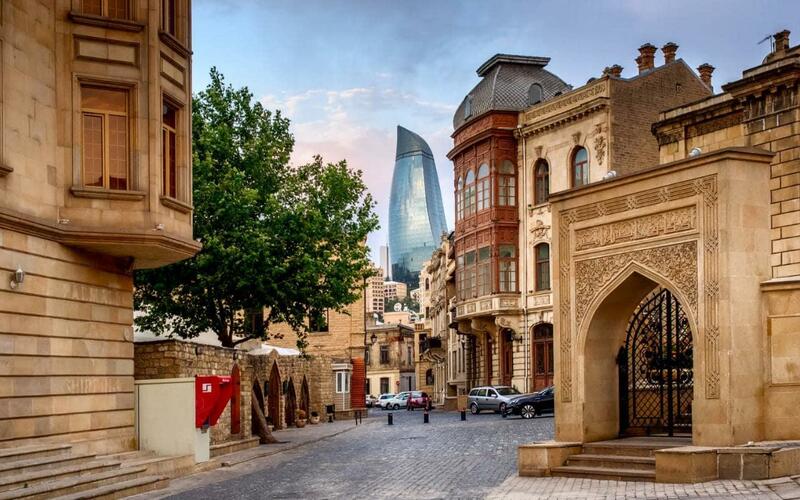 As a result, the next session of the World Heritage Committee will be held in Baku in 2019 , Azertag reported. The Reserve also participates in other international platforms, promoting the Icherisheher. It cooperates with several international organizations specializing in cities. One of these organizations is the Organization of World Heritage Cities (OWHC). 2018 has been a remarkable year for the development of relations with OWHC. In May 2018, the Reserve management was invited to the 12th OWHC Regional Conference. The main topic of discussion was the challenges facing the World Heritage Cities, trends of cultural tourism, the protection of historical heritage and strategies to increase tourist interest in historical areas. Also, participants were informed about the work carried out in the preservation of historical heritage in Icherisheher and its future goals. Last October, Icherisheher State Historical-Architectural Reserve hosted a meeting of OWHC Board of Directors. The meeting was organized within the international scientific conference "Journey from modern Azerbaijan to the Historical State of the Shirvanshahs". The meeting of the Board of Directors provided member cities with an opportunity to promote their cultural and historical heritage. Besides, the Reserve management cooperates with the Network of European Museum Organisations (NEMO). Last November, Icherisheher State Historical-Architectural Reserve took part in the 26th annual conference of the organization and held bilateral meetings, shared their views on the protection of cultural heritage at workshops and discussions. In general, the management actively participates in NEMO's modern museum strategies, and symposiums provide information to the representatives of different countries about the heritage and tourism opportunities of Icherisheher. As a result, the organization has agreed to hold an annual conference in Baku in 2021. At the same time, the Reserve management joined the City Merit Agreement in 2011, and in August 2017 joined the Meridian Secretariat for Economic Development and participated in various initiatives. Moreover, the staff of Icherisheher State Historical-Architectural Reserve took part in a conference on "Role of Municipalities in Sustainable Development" in Kiev on November 22-23, 2010. The Reserve management has also participated in several international tourism exhibitions in recent years. Certain works have been done to introduce Icherisheher as an attractive tourist destination. In the first half of last year, employees of the organization participating in exhibitions held in Berlin, Moscow, Beijing and Dubai, along with the tourist potential of Icherisheher, provided information to the representatives of foreign countries about the material and spiritual values ​​of Azerbaijan and initiated contacts with new tourist companies. In addition, Icherisheher State Historical-Architectural Reserve Office represented Azerbaijan at "Science, technology and innovation technologies in the age of happiness and omnipotence" conference held in Ashgabat by the Turkmen Academy of Sciences in June 2018. In July, the representatives of Reserve visited the Kaluga region of Russia to cooperate in the field of culture within Ethno World project of the international fund "Dialogue of Cultures - United World". Application of "Ethno world" concept to Gala State Historical Ethnographic Reserve was discussed at the meeting. In 2018, Icherisheher State Historical-Architectural Reserve signed an agreement with the Research Centre for Islamic History, Art and Culture. Within the framework of the three-year collaboration, it is planned to hold a series of international events such as festivals and congresses, trainings and workshops on Islamic artifacts. In general, the Reserve management constantly focuses on further expansion of cooperation with international organizations.